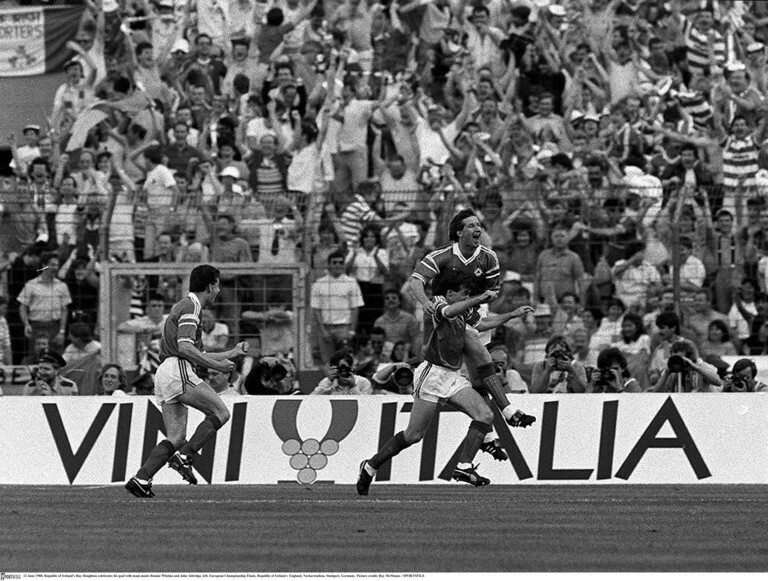 30 years ago today, Euro 88, an Irish football odyssey began. 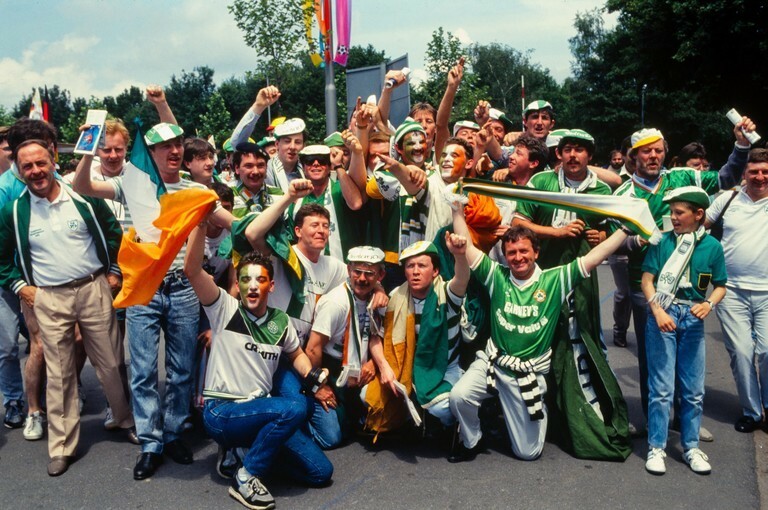 Ireland beat England in Stuttgart and nothing would ever be the same again. 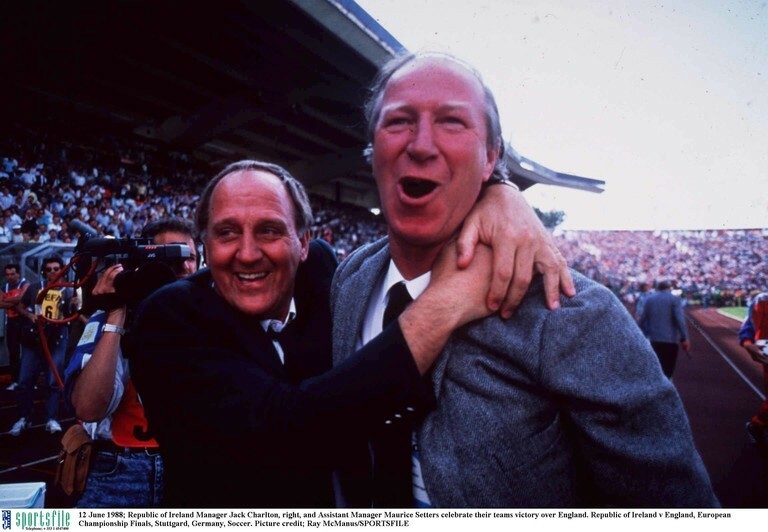 Jack Charlton had brought us to our first ever major tournament, with a nice assist from Scotland's Gary Mackay, but it was what would happen in Germany months later that would live on in Irish history, and Irish football would transcend sport for the first time. 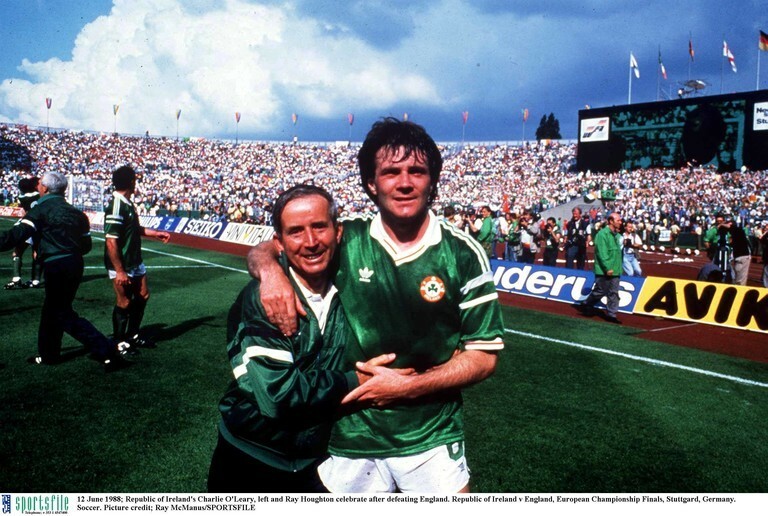 Ray Houghton put the ball in the English net after six minutes, and we then we withstood the onslaught of Lineker, Beardsley, Barnes, Robson, Waddle, and Hoddle for what seemed like an eternity. 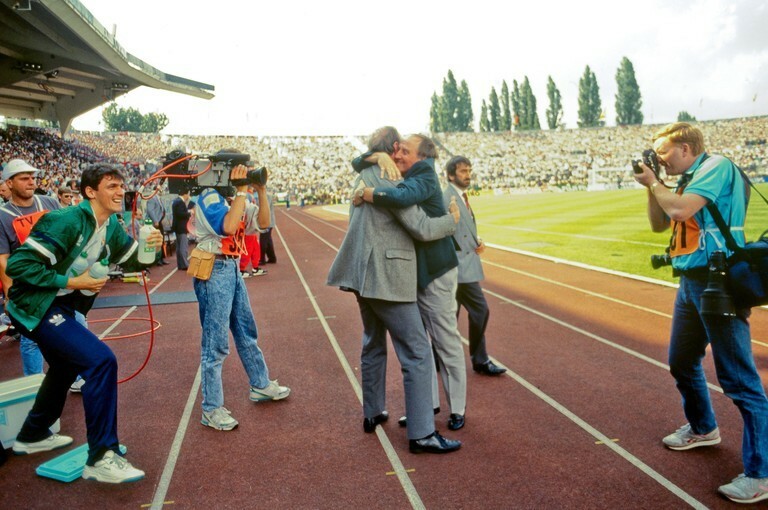 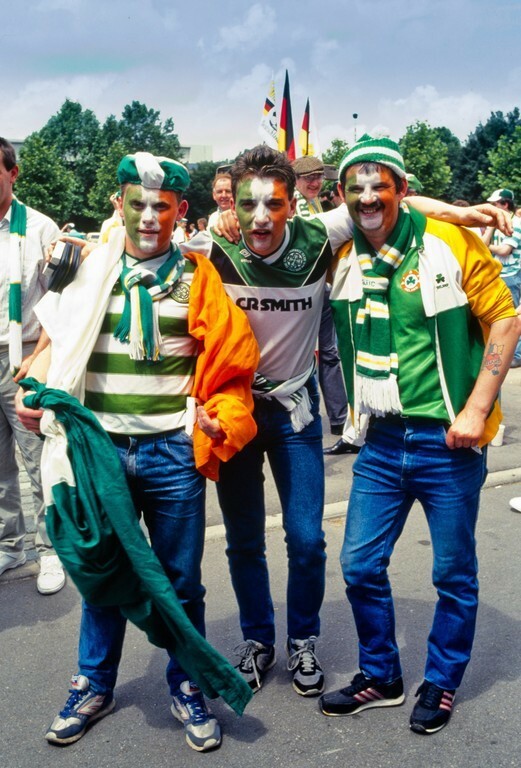 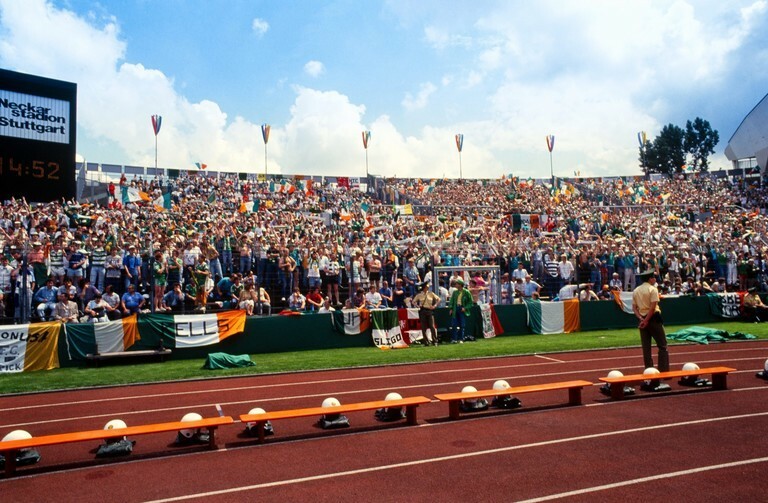 Ray Houghton, Packie Bonner, and Jack Charlton will always be the names associated with that day in Stuttgart, but it was so much more. 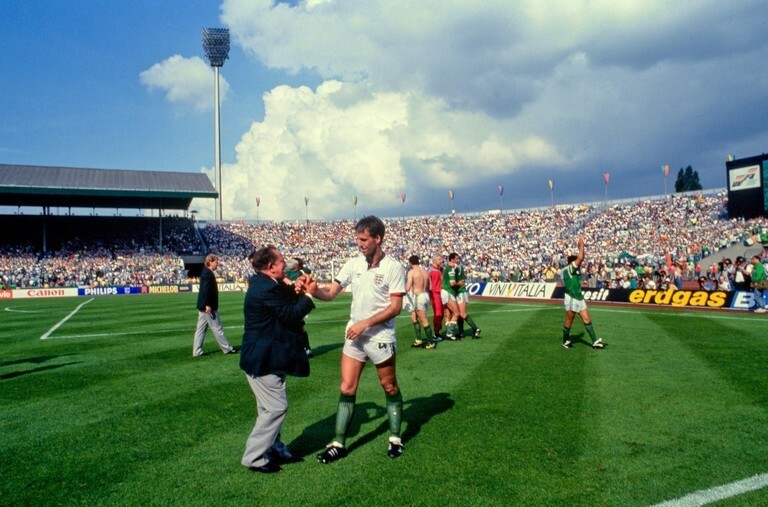 It was Mick Byrne before the game. 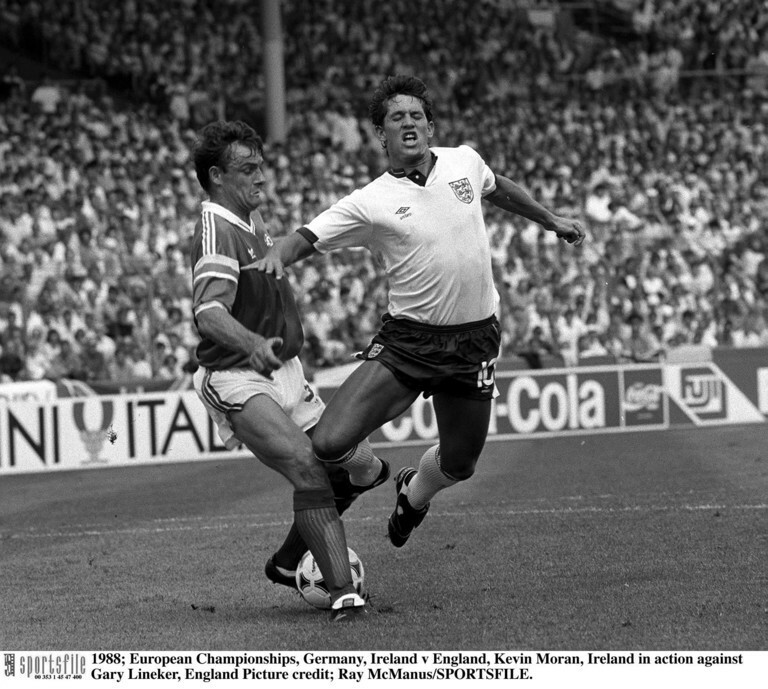 It was Brian Clough vs. Mick McCarthy and Liam Brady. 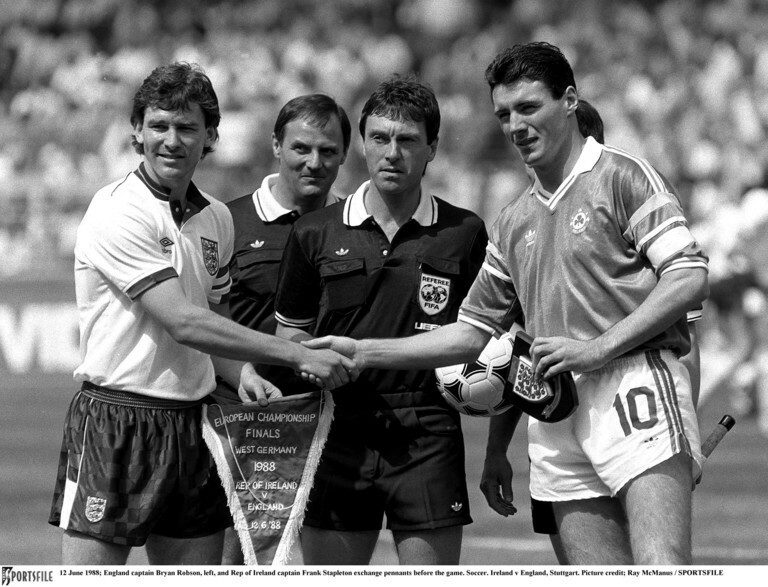 It was "Peter Beardsley needs a good kick up the backside". 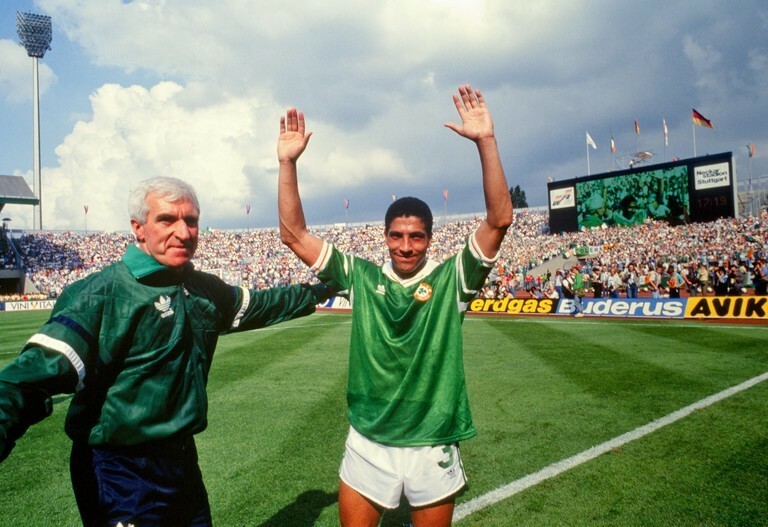 It was Frank Stapleton's incredible post match interview. 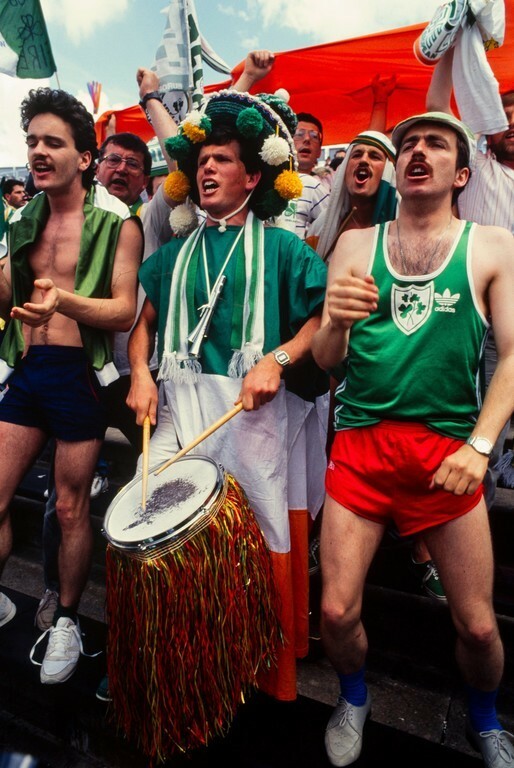 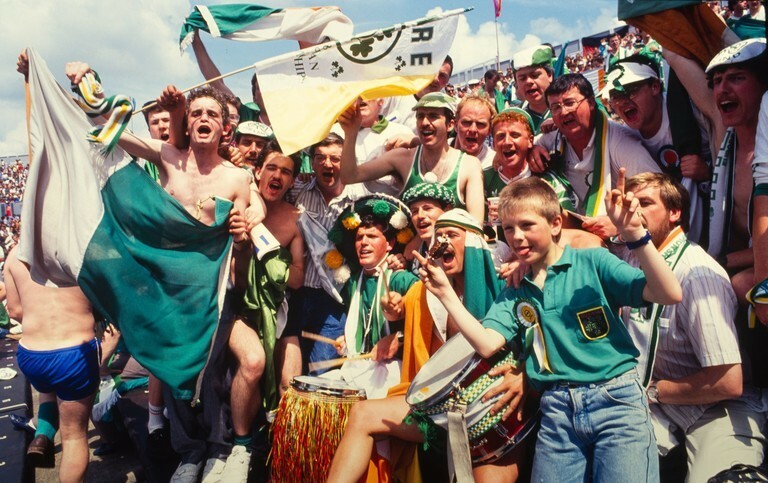 It was English frustration and Bobby Robson's hanging his head, it was Joxer, and it was Irish fans in ridiculously short shorts. 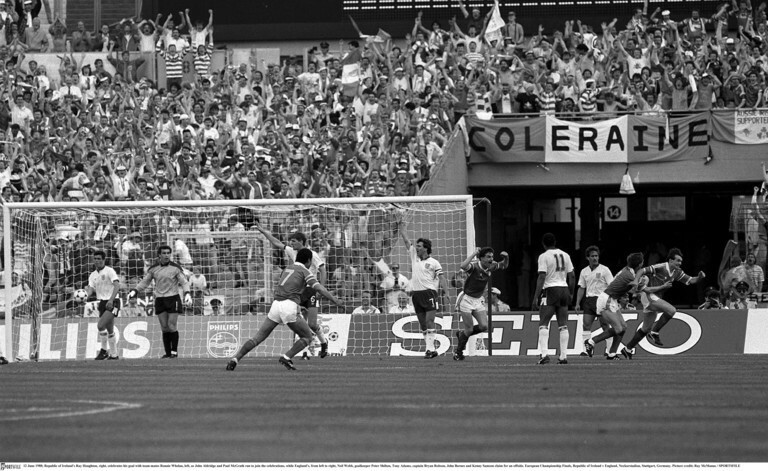 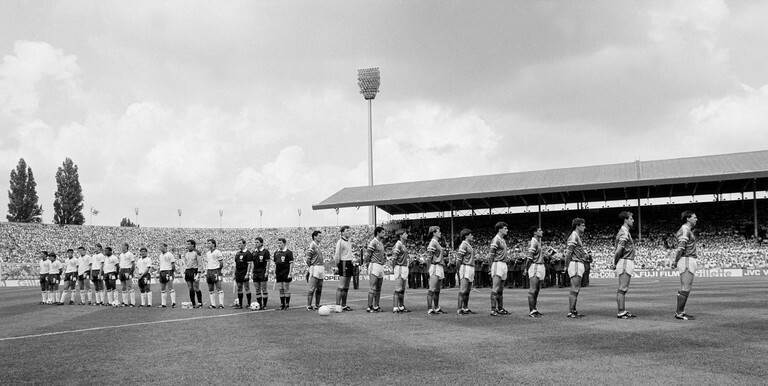 Thanks to the brilliant Sportsfile archive, we can relive that day, the 12th June 1988, the day Irish football shook the world, and put the English in their place.